Gift cards are the perfect gift for the golfer who has everything. 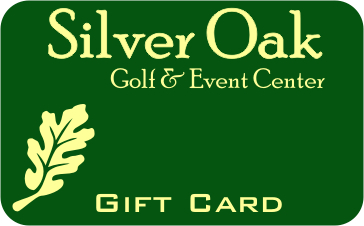 Gift cards are valid for green fees, food & beverage, merchandise and lessons. Sold in denominations of; $35, $60 or $100. Acorn Club Cards are a great value for any golfer. Enjoy reduced rates, earlier twilight tee off times and much more all on Carson's best conditioned golf course. Valid one year from the date of purchase. Non-transferable.